Big Love, the official biography of Lama Thubten Yeshe, will make a significant contribution to the history of Tibetan Buddhism in the west. It will contain hundreds of photos dating back to the 1960s, and personal stories of the lamas and the students who learned, lived and traveled with them. All over the world, people will read about this amazing innovative teacher, the organization he founded (the FPMT) and the thousands of students whose lives he changed. We are now looking at a 2018 publication date for Big Love. This book has been over 20 years in the making, from the early beginnings of author Adele Hulse’s personal notes, to the fully designed, researched and edited chronicle that will be the finished product. Ms. Hulse started writing this book in 1991, having been personally requested to do so long before by Lama Yeshe himself. She travelled the world interviewing all the hundreds of friends, acquaintances, colleagues and students of Lama Yeshe that she could find, and visiting many of the places Lama went to, including his home village in Tibet. The final product will be two volumes of around 700 pages each, with many glorious photos from the over 30,000 that have been collected from Lama’s students all over the world. 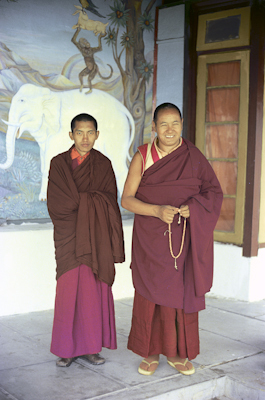 Lama Zopa Rinpoche, Lama Yeshe’s primary student and the Spiritual Director of the FPMT, and Tenzin Ösel Hita, the 28-year-old Spanish man recognized as the reincarnation of Lama Yeshe, have both written letters in support of the Big Love project. 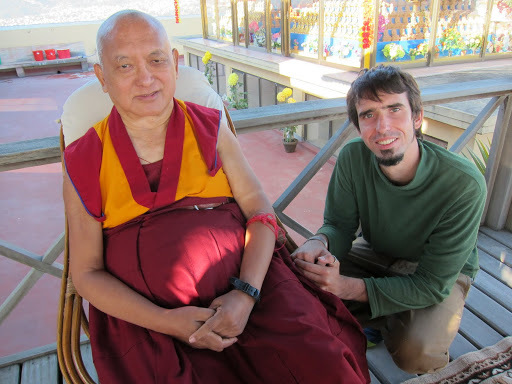 Click to read Lama Zopa Rinpoche’s letter and Ösel Hita’s letter. We have been working on the book since 2008. As chapters are edited, excerpts are being posted to our Big Love Blog. They give an excellent sense of what the biography will be like. We also make Lama’s teachings freely available on our website. You can read all of Lama’s books, like the classic Becoming Your Own Therapist, on our website, along with many other of his teachings. All of the images submitted by students of Lama for this project have been digitized and cataloged, and as these are organized we are posting a selection of them to our Online Image Gallery. And, you can see videos of Lama on LYWA’s YouTube channel, like the one where Lama is telling the story of how he first started teaching Buddhism to western students. Third level – $250: donors will receive the books. Please don’t feel you have to give a large amount (although of course you are welcome to do so!) Donate what you feel comfortable with–-it is just important that you are involved. Better thousands of people giving a small amount and making this auspicious connection than one person paying for the entire project. Your contributions to this great project are much appreciated. Visit our Donations page to show your support. Thank you! "It is time to have big thoughts-huge thoughts! It is time to make vast plans, to lay out the immense project ahead of us and feel happy that we can achieve our goal of developing ourselves to our ultimate potential. We have perfect role models in the Buddha and the numberless great yogis who followed him, as well as the precious lamas we have the fortune to be able to take teachings and gain inspiration from, and we know that we have exactly the same potential as they do. Shakyamuni was once exactly like us; His Holiness the Dalai Lama was once exactly like us. In turn, we can be exactly like them. All the conditions are there. What we now need is the determination to do it." We’re delighted to have published in November 2013 the next book in the FPMT Lineage Series, Lama Zopa Rinpoche’s The Perfect Human Rebirth: Freedom and Richness on the Path to Enlightenment. As you probably know, this series is a growing collection of books of Lama Zopa Rinpoche’s teachings on the graduated path to enlightenment (lam-rim) drawn from his four decades of discourses on the topic. The first two books in the series are The Heart of the Path: Seeing the Guru as Buddha and How to Practice Dharma: Teachings on the Eight Worldly Dharmas. The fourth book in the series, Rinpoche’s exhaustive teachings on death, Good Life, Better Death: Teachings on Impermanence, is also well on the way. It will be followed by books on the three lower realms, refuge, karma, reincarnation and the twelve links, the general sufferings of samsara and bodhicitta. This series of lam-rim volumes was made possible by a $500,000 matching grant we received in 2008 which enabled us to launch our previous five-year plan, Publishing the FPMT Lineage (PFL). As the funding for the PFL plan drew to a close, we developed a new five-year strategic plan, which lays out our vision for the coming years. The new plan describes how we can maintain our present activities but also take advantage of new electronic publishing possibilities. Few publishers, Dharma or otherwise, have the potential to do what we can with the vast resources we have at our disposal. LYWA has some 650,000 books in print, most of them free. Our titles have been translated into fifteen languages and all are available as ebooks for a wide range of readers. We provide transcripts for use in FPMT course materials, Education Services publications and Mandala magazine and prepare books for Wisdom Publications. We have published more than 160 monthly e-letters, have a well-established social media presence, a YouTube channel and articles published monthly in online magazines and blogs. Furthermore, we have tens of thousands of pages of teachings and hundreds of hours of audio freely available on our website. The first samples of these enhanced ebooks have been developed for the iPad and are available on iTunes. Just search iTunes from your device for “Making the Most of Your Life” by Lama Yeshe or “The Merely Imputed I” by Lama Zopa Rinpoche to find and download these free samples. “The Merely Imputed I” is also available through Inkling. Your generous support enables us to continue employing our team of editors, designers and support staff, all fully dedicated to the mission of the Archive and excited about bringing more and more of the teachings in the Archive into the hands of those searching for the Dharma. Thus to benefit others even more than we have been doing, we need your help. You can read our new five-year plan on our website. Please make your donation today and join us as a partner in our work for the benefit all. Thank you so much. We are delighted that together we are able to continue in our mission to make the precious teachings of Lama Yeshe and Lama Zopa Rinpoche available around the world. It is definitely a big loss that more material is not being published; this is a big loss in regards to the activities of the whole organization. Every day this doesn’t happen it is a big loss for the organization. The main activity of the FPMT organization is to be able to benefit sentient beings and it is through the teachings and advice that this is done. This is the main way to benefit others. We need to change the old view of how to publish the teachings. We need to think differently about how to do it so things don’t get held up, stuck. I can ask people to help; we need to think differently so material is made available quickly: all the talks, all the teachings from so many years. All that is available needs to be published now; we need to start thinking differently quickly. Otherwise it is a great loss, and we need to publish in different languages. If it gets stuck in English, then it gets stuck in all the languages. Please remember this is the major benefit of the organization. This is how the organization can benefit sentient beings, through the teachings and advices. Naturally, this shook me up a bit and I started to think of new ways of doing things. What it really came down to was that we could no longer rely on volunteers to record, transcribe and edit but would have to pay, or at least support, people to do these various tasks. So I came up with a five-year plan for doing this. It would cost $1 million. That seemed a little unrealistic, but it was the best I could do, and I presented this plan at a meeting at FPMT International Office, where we were discussing how to better include Lama Yeshe’s and Lama Zopa Rinpoche’s teachings in FPMT education programs. Then, a month or so later, out of the blue, I was contacted by a benefactor wanting to help the Archive achieve its objectives. I showed her our plan and, amazingly, she offered a matching grant of $500,000. In other words, she would match each dollar we raised with a dollar of her own, up to a million. She suggested we go out to the FPMT to find matching funds. And so we launched our five-year Publishing the FPMT Lineage plan. The FPMT Lineage series is comprised of books of Lama Zopa Rinpoche’s teachings on the graduated path to enlightenment (lam-rim), drawn from his four decades of discourses on the topic and based on his own textbook, The Wish-fulfilling Golden Sun, and several traditional lam-rim texts. They are in general arranged according to the outline of Liberation in the Palm of Your Hand. This series is the most extensive contemporary commentary on the path to enlightenment teachings available and comprises the essence of the FPMT’s education program. Further details of the plan may be found here. Now what is needed are people who will sacrifice their lives, as they did in India, Tibet and Nepal, not just to study the Dharma like at a college or university, but to actualize the teachings in a monastery or isolated place. In Tibet, the mountains were full of caves like ants’ nests, where people would go to practice without distraction. This is how Buddhism really comes alive – when it is not just words, not just scholars, but really living Buddhism. When study and realization come together, Buddhism will really last. Wow, then like an ocean in the heart and the mind, it will spread and be preserved. Otherwise, if it is just like learning in a college, it won’t last long. That’s like throwing tsampa on water: it stays on top and doesn’t sink – it is shallow. For Buddhism to really be preserved in the West as it was in Tibet and India, we need people who will sacrifice their lives to completely actualize in the heart what was explained by the Buddha. We need to realize all of this in our hearts in the West. We have engaged Ven. 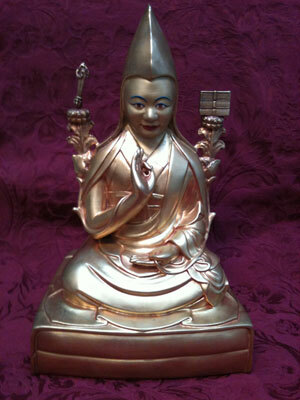 Kunsang to travel with Rinpoche to record all Rinpoche’s teachings and send them to us immediately. We have a managing editor to supervise and participate in the editing of all of Rinpoche’s lam-rim teachings. We have a team of four full and part-time transcribers working to make Rinpoche's audio recordings accessible for editing and publication. We have a team of five full and part-time editors working on books and teachings for our website. 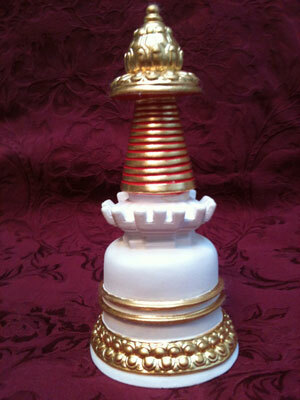 We have published three books in the series, Heart of the Path, How to Practice Dharma, and The Perfect Human Rebirth. Good Life, Better Death: Teachings on Impermanence is also nearly ready for publication. Manuscripts ready for final editing include teachings on: the three lower realms, refuge, karma, reincarnation and the twelve links and the general sufferings of samsara. Each will be a book in PFL lam-rim series. Three books of Rinpoche’s teachings on bodhicitta are also in preparation. Thank you so much. By working together we can accomplish Rinpoche’s advice, when he says, “The main activity of the FPMT organization is to be able to benefit sentient beings and it is through the teachings and advice that this is done. This is the main way to benefit others.” Please make your donation today do not hesitate to contact me for more information. Heart Advice is a series of core teachings—the "heart advice"—taken from the experiential teachings of Lama Zopa Rinpoche. The main resource is Rinpoche’s major retreats, commentaries and transmissions since 2008, although other Archive materials supplement these. The goal is to preserve and make available Rinpoche’s unique style and lineage of teachings and practices. The first book in the series, Bodhisattva Attitude: How to Dedicate Your Life to Others was published in 2012. The series editor, Ven. Sarah Thresher, began to work on this book as a private project, inspired by the beauty of the Bodhisattva Attitude verses. The Heart Advice Series is dedicated to the long life and perfect health of Lama Zopa Rinpoche, to his continuous teaching activity and to the fulfillment of all his holy wishes. If you would like to contribute to this project, please visit our donations page. Thank you so much.